I was in a hotel room in Elyria, Ohio on an overnight business trip sometime during the winter around 1979. My company had assigned me what turned out to be about a four month project requiring me to spend one to three days a week in the Elyria-Lorain area near Cleveland. I was learning how to do things alone; travel alone, eat alone – fend for myself in ways I had never done before in my life. On this particular night I returned to my hotel room after dinner at a nearby restaurant and sat propped up on one of the beds going through business folders preparing for my next day’s work. All of the sudden there was a disturbance at my door and I immediately realized someone was trying to break in. I can still clearly remember the panic I felt; adrenaline flowing, mind racing, heart pounding, trying to think clearly but frozen and unable to. I remember going to the door and shouting something about “get out of here.” The noise stopped but my fear didn’t. I ran to the phone and called the front desk and said, “Someone is trying to break into my room ” and they responded that they would send security immediately. As I waited my eyes fell on my Bible which was sitting on the nightstand. I grabbed it and just let it fall open to wherever. I thought I would read anything on the page to try to settle myself and calm down my racing heart until security arrived. I was learning how to pray God’s Word back to him. The funny thing is that the hotel security never came. But I did sleep both peacefully and safely that night. The next morning at the desk I recounted the incident and the desk clerk was incredulous. She couldn’t believe that someone had not come to check on me. I ended up being glad no one came and I kind of felt God had taken care of that. I felt God wanted me to trust only in him for my safety and to teach me how to use his Word as prayer. See how it goes? You can turn almost any part of Scripture into a prayer. A lot of times putting “thank you” in front of a Bible passage turns it into a beautiful prayer. For instance Psalm 23 might start off this way: “Thank you Lord, for being my shepherd and for supplying everything that I need. I’m so glad you are causing me to lie down in green pastures and leading me beside quiet waters. Thank you for restoring my soul.” You can continue this way through the whole Psalm. The Word of God is extremely powerful and knowing it makes your prayers more effective. Listen to what the Lord says: “So shall My word be which goes forth from My mouth; it shall not return to Me empty, without accomplishing what I desire, and without succeeding in the matter for which I sent it.” (Isaiah 55:11) God honors his word. He wants us to remind him of his promises and call on him to perform what he has declared. In order to pray the Word you have to know what’s in there so you’ll need to be reading the Bible every day. And more than just read it, you need to slow down and really think about what you are reading and ask the Lord to bring it alive for you. As you learn more of it you can begin praying it. 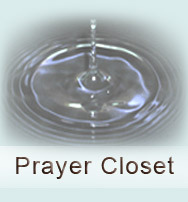 There is no circumstance you will ever be in where the Word of God will not have something to say and to pray for you. Begin today to pray God’s Word and see your prayer life flourish like a perennial flower garden that grows lusher year by year. Please read Who is your God? for additional insights.